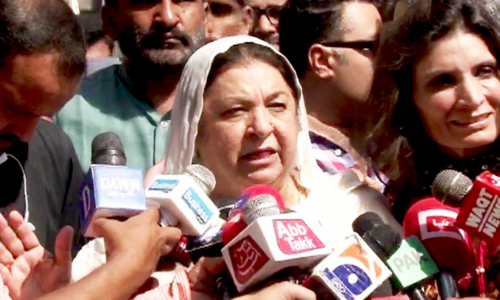 The PML-Q has demanded the post of Punjab chief minister or deputy prime minister as a condition for forming a coalition provincial government with the Pakistan Tehreek-i-Insaf (PTI), a source within the PML-Q told DawnNewsTV on Sunday. According to sources within the PML-Q, the party has sent its demands for supporting PTI in Punjab to the PTI's senior leadership for consideration. PTI Spokesman Naeemul Haq, while addressing a press conference today, dismissed speculation that a chief minister belonging to a political party other than the PTI would be appointed. "The Punjab chief minister will belong to the PTI. There should be no mistake about it," he told reporters. Both the PTI and PML-N are embroiled in a tussle for control of Punjab. Neither has been able to secure an outright majority in the provincial assembly as the PTI is in the lead with 132 seats, while the PML-N is on its heels with 129 seats. Following the polls, both parties stepped up efforts to form alliances in order to secure control of the provincial assembly. The PTI has welcomed all parties ─ except the PML-N and PPP ─ to form the government with it. At least 149 directly elected MPAs are required to form a government. With the addition of reserved and minority seats, at least 185 out of a total of 371 seats are required to form a government. After the PTI and PML-N, the PML-Q has managed to secure eight seats, and the PPP six. Independent candidates have won 28 seats. Following the polls, the Chaudhrys of PML-Q have suddenly assumed a significant role for formation of the Punjab government for both the PML-N and the PTI. Chaudhry Pervaiz Elahi’s name is doing the rounds as a potential candidate for the chief minister’s slot in case his party manages to take on board a dozen or so independents, and eventually supports either the PTI or PML-N. Meanwhile, PML-Q leader Chaudhry Moonis Elahi took to Twitter to deny that his party had made any demands for the post of chief minister or deputy prime minister from the PTI. On Sunday, a meeting of the PML-Q leadership decided to support the PTI in forming the government in the Centre and Punjab, party sources told DawnNewsTV. It was decided at the consultative meeting headed by Chaudhry Shujaat Hussain that PML-Q was an ally of the PTI and steps would be taken to further strengthen this alliance. The party decided not to support the PML-N because its leaders "always seek contact for their own interests", the sources quoted PML-Q leaders as saying. PML-N President Shahbaz Sharif, after setting aside differences with the Chaudhrys, had tasked senior party leader Ayaz Sadiq with contacting the PML-Q leaders. When Sadiq spoke to Elahi over the phone on Saturday and requested him to support the PML-N in Punjab, the latter responded that he would discuss the proposition with other party leaders and then get back to the PML-N. According to sources within the PML-Q, when Elahi was separately contacted by PML-N's Mushahid Hussain for the purpose of forming a coalition government, the former said that since the PML-Q had fought the election alongside PTI, it would like to join them in forming the government. "However, there is no such thing as a final verdict in politics, and we will not show rigidity at any point," the PML-Q leader was quoted as saying at the time. The PML-Q is also reportedly in contact with seven independent candidates in Punjab. 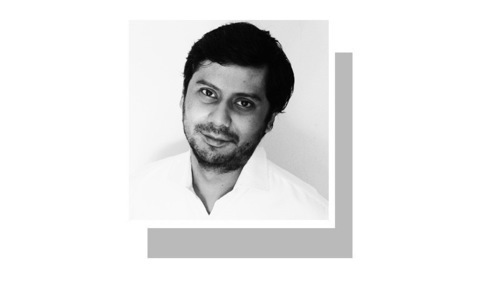 The PTI, meanwhile, is finding it difficult to field a suitable candidate for the top slot in the province, though there has been discussion within the party regarding Elahi, who has experience serving Punjab (2002-07). Elahi has been elected on two National Assembly and one Punjab Assembly seats. "In case there is no consensus in the PTI on his name, Elahi will prefer retaining an NA seat," a source earlier told Dawn, adding that although the PML-N might also offer Elahi a 'lucrative package' in Punjab, it is unlikely that the PML-Q will join hands with the PML-N being an ally of the PTI. Here we go again, PML-Q demanded high posts in return of supporting PTI - it's all part of horse trading and selfish motives rather than what is good for country and serving sincerely for the welfare of the poor people! Decisions should be taken keeping interests of Pakistan at the top in their priority list. PTI needs to play smartly. It is now or never situation. Both the demands of Q are not justified. People still remember the times of PMLQ in Punjab. Kindly give CM Punjab post to Chaudary Pervaiz Ilahi. He will be the best candidate for CM Punjab. He had seat adjustment wuth PTI, now why is he asking for CM seat? He could not have got even a single seat without PTI!! IK can choose partners from other independents or smaller parties to form the government, He doesn't need opportunist Chaudhries to move forward! I hope IK will say 'Thank, but no Thanks!'. You don't deserve to be deputy PM for coming in 5th or 6th in the race. So don't demand somethng that is not earned. PMLQ should rise above dirty politics. Chaudhary traders have to save their skin and then add to their muscle strength, hence the disproportionate demands due current market value. He should be ashamed off. Just to avoid PPP, IK can hurt his possiblities. PML (whatever type) plays it even dirtier. Q has the experience of Deputy PM. Shame on those who are opportunists and play dirty politics of exploitation. Please stop cunning tactics for the sake of the good of the country Pakistan needs help to move on. PML-Q a party of 2 greedy brothers just like PML-N a party of 2 corrupt brothers. Imran Khan must take a positive decision and go for re-election in Centre and Punjab.Pakistan really need a change for betterment of the country. This divided parliament will be detrimental for all of us. PML Q will get much respect from the nation if they will join PTI with no conditions. With 8 seats you want to be a CM. Shame! PTI should never disrespect its voter by falling in to this. Going in opposition is better than having a govt with a support of such power hungry politicians. Do PML-Q really think such antics will win them public support? Most of the seats they won were as a consequence of the seat adjustment with PTI specifically in Gujrat. PML-Q as of now has 4 NA seats, it will be left with 3 NA seats once Mr Elahi chooses one of the two NA seats he has won. I think PTI should not form any alliance with PML-Q given that they are able to manouver their way through to a simple majority with the independents and the smaller parties. We do not want to serve the people of Pakistan but the game of politics in Pakistan is how to individually benefit by coming into power and run the show.The best solution is 're election in Centre and Punjab. Is not it better IK to reconsider his decision to form an alliance with PPPP. He can make it clear that he will not support them on corruption of Zardari. There will be synchronization of Government in the entire Pakistan. Parties like Q league will anyways join you if they know you IK have alternate without any major demand. Give the man the coveted and useless Deputy PM position. This is how kingmakers play the game, even a party of 10 time greater vote size of PML-Q is begging for its people and in return PML Q with 8 seats wants to be CM. The demands are too high, but if the choice is seeing noon forming gvt in punjab or seeing Elahi as cm, i would choose the second alternative. If pti would perform well in next 5 years, then they will get majority in Punjab and ditch pmlq. @Anti-Corruption_Pakistani Do you even know what horse trading is?. PMLQ is negotiating for a coalition and it does not fall into any horse trading. According to parliamentary norms majority party should be given the chance to form the Govt. PTI should take principal stand instead of short sighted goal of CM seat. If all opposition parties join hands they can deprive PTI the PM slot. Take care! Unnatural and unfair bargain by PML-Q for demanding the position of Chief Minister of Punjab in return of their 3 to 4 votes. The PML-Q must act judiciously and extend unconditional support to Mr. Khan to complete the agenda of peaceful and prosperous Pakistan. Such a shame it is. I am sure PML Q wont have secured a single seat, had PTI not made seat adjustment with them. Now it,s the test of the long erstwhile narrative of PTI either to allow CH ELLAHI a lucrative post or to sit as opposition in P Assembly. Here all principles,promises and commitments made to Public. in the course of preceding 20 years of Politics by PTI, are at stake.The word adjustment in Politics is highly dangerous having various connotations completely filled with deception,departure from manifesto,if it was ever devised by PTI,S stalwarts.ThIngs will get even more difficult and arduous as soon PTI led administration enter into office of Government.The dream of good governance,delivery of service at masses level along with creating a trickle down effect of economic policies and meeting expectations of voters will godforbid shatter into pieces,if any tilt is made towards primitive style of running Govt. The political culture of the past is like a cancer . How can we keep it at bay? This is the price we have to pay now for not giving a clear majority to PTI in the election. his quest to become PM will be well exploited by Q league and others. The true nature of these blood sucking, selfish, power hungry politicians. They have been out of the picture for the past 10 years and now when Imran paid heed to this useless party, they want much more than what they are worth! Where is Pakistan in this whole episode? Very sad to see PML-Q juicing there situation at Pakistan's expense. I don't know how these politicians can go to sleep at night. In politics, something is called horse trading which the IK and PTI should know. Selfishness at peak... a 8 seaters deny top slot to party who manage to get 123 seats in the province. Get all independent at any cost and let them stay empty handed both in center as well as Punjab. These are stupid demands. PTI should offer them deputy speaker in Punjab assembly and a pat on the head. Give the. deputy PM slot, it’s just symbolic. PLM (Q) could get more prestige & honour if it supports PTI unconditionally. But in it is the part of (dirty) politics in Pakistan. The deputy CM position would be most appropriate for support in the centre and Punjab. These CHaurdhery Brothers could not imagine winning any election in Pakistan over the next 100 years. Now, having coming in the the bottom 10, they have the desire to be close to the PM's office or head the largest province in the country - in exchange for their piddly 8 seats in the NA to support IK? Here's my suggestion: Take a hike! IK doesn't need such greedy politicians around him, Just consider what happened to another greedy politician recently. Don't get power hungry, when you have no voice in the NA. IK does not need to even listen to their bleats. That would be an insult to all the voters who rejected these has-beens and always in waiting party! PML Q won 6 more seats just because of PTI and now demanding high post in return shows what type of people they are. Any ways very soon lot of Punjab Assembly seats will be vacant because of NAB charges and there are couples in PML Q as well. They are going beyond their limits, if that’s the case PTI say no thanks. Opportunism at it’s best being exercised by PML Q. One has to see what they might get with an association with PML N. PML N will never give them the CM post. At best they will get a couple of key ministries in Punjab. PTI should offer them 1 key ministry in Punjab and a Federal Cabinet position of mid importance at best . They don’t deserve anything more! Take it or leave it! The audacity of PML Q!!! We were expecting the politicians to make decisions based on the best democratic principles, ideology and in the interest of the Nation . The Elahi duo are showing their true selfish colors! Fortunately these voracious parties are no longer dominant. Give them Deputy PM in center and retain Punjab at all cost. 8 seats and cm punjab demand. Nice. By the same token, MQM can ask the seat of Governor Sindh with just 6 seats. Merry round go is going on. What else is called blackmailing? Muslim League whether N or Q are dirty players. IK gave already he will not take anybody in cabinet who are having cases in NAB. Both Chaudries will appear before NSB on 16th August. If Imran Khan can be little patience: all these Chaudries , Zardari, Sharifs has less than 6 months and FIA and SC corruption cases will make a living example of these : than they won’t be around to buy or trade . By polls and forward blocks will cut these in size : patients please. You are got rid of PML N, now you will deal with PMLN Q, What a shame. First earthquake shock to PTI from the electable even the game has not started yet! Absolutely amazing desire. Blood suckers and leeches sitting on sides, they are one of them. Time for Chaudry's to show some character & support PTI !!! If it is part of the grand plan, Elahi will be the Chief Minister! Really, we don't need to scratch our heads much! Let's wait for the grand plan to unravel! If they do not come on reasonable terms then just go ahead and declare you have the numbers. So what happens then. PML-Q is a shame in Naya Pakistan. I think, Imran should accept demands of PMLQ. They have done good job when in power during 2002-2007, and obviously they are not as corrupt as PMLN and PPP leadership. Regardless, Imran should enact law to make all institutions free from government influences and interference, so that they can work on merit without corruption, nepotism and mismanagement. Meanwhile, Imran should make accountability most stringent, making NAB, Judiciary, FIA, ISI, MI, especial parliamentarian committee consisting of honest politicians and even army generals as overseers of corruption in the country, with stringent punishment for corrupts, and that would take care of most corruption even at highest posts, and that itself would stop corrupts in power regardless of what party they belong (including PTI and PMLQ). Let PML(Q) get the seat of Dy PM. But CM Punjab must belong to PTI. At the same time no inimical hurdles on way of PML(N) if they genuinely got majority support, let them form the Punjab Govt. After all the PML(N) allowed PTI to form government in KPK just respecting their slight majority in 2013. No big deal if PML(N) got the cup, but under no circumstances the democracy be shaky or weakened, let the democracy flourish. IK is in a tough position. It is better to go for a fresh election in the centre and Pubjab instead of accepting the unjustfied demand of the opportunists. Have these PLM-Q members no shame? How can you demand so much influence and power with 8 members over 123 PTI members. This is the mentality of hostage takers , not fair minded people who respect wishes of the voters. Exploitation and advantage taking and price hiking on its peak. I cannot believe why people of Pakistan gave so split mandate so no party can work to implement their agenda. Other day I heard Ch.Pervaiz Elahi ,I thought he was a nice man but he is also hungry of power not sincere to Pakistan.He is in favor of PTI and he has been supporting PTI since last 5 years,now where is his loyalty that he wants power and talking PML n also.wow! PML Q should be ashamed of themselves, the reason why they got these seats in the first place was due to seat adjustment with IK, otherwise they would have lost miserably. Shame on them. That’s why I wanted PTI to contest elections against PML-Q and defeat them rather than supporting them. They are not capable of winning a single seat against PTI. Chaudrys have won these seats just because of PTI’s support. And now these worthless chaudrys are using these seats to play dirty with PTI. These Chaudrys should be behind bars with NS and Zardari. Like it or not, given the Punjab's divided mandate and by large a bureaucracy that has been loyal to PML-N, the CM will have to be somebody with experience of Punjab's deeper politics and one who can exercise powers with an iron hand. In my view Ms Yasmeen or Shah Mehmood Qureshi may not be up to this arduous task. Pervez Ilahi does make a suitable candidate. However, the values of conduct will have to be aligned with that of PTI. Can this be possible is the question. What to expect from these opportunists. What a shame. PMLQ playing dirty politics. If they are not careful, they might end up with the losing bunch. They should keep the end of their bargain. Had it not been for PTI, PMLQ wouldnt have gotten a single seat. @ABE: Did Imran Khan set conditions for supporting Chaudhry's? Chaudhry Pervaiz Elahi is being selfish. Also there are corruption cases against Chaudhry brothers. IK should handle them properly. Both of these Chaudrys are opportunists and are on sale. This demand is absolutely nonsense. PTI should hold its ground and should not get blackmailed by PML-Q. Also next time PTI should never do any seat adjustment with this opportunistic party. They are thankless group of people. For PTI lesson learnt. With 8 seat PML(Q) is not in a position to ask for CM slot. Everything is for sale for these crooks! Lets stop this black mailing...In my view PMLN support PTI in center and PTI support PMLN in Punjab,,,,in this way no black mailing no horse trading and people mandate is respected...in rerun we get five years of stability...lets have a national priority agenda and work together hand in hand...... No more Sharifs in Punjab Saad Rafiqu as CM and Dr Yasmeen as deputy CM.......lets compete in performance and get united for the people of this improvised country.....what you guys think? @KP No a good idea to collaborate with a party of corrupt waderas! PML-N should make Parvez Elahi the CM of Punjab- thereby PML-N will retain Punjab and deprives PTI of PUNJAB & THREE MNAs in NA towards PTIs target of 137. Deputy pm is waste of money. You can't be cm with six seats. The real dilema for PTI starts now. This is exactly what political analysts were fearing. Neck to neck split mandate in Punjab. PML-N won maximum seats in Punjab. It is their mandate to form government in Punjab. PTI is strugling to form government in Punjab because they know that witout Punjab their government will be confined up to IJP road between Islamabad and Rawalpindi. Even if PTI succeeds to form government in Punjab, it will be very fragile and may be toppled anytime by PML-N with the help of PPP and by buying loyalties of few MPAs. PML-Q have no ethics. Even though they had sided with PTI during the general elections, they will immediately accept an offer from PML-N to join them in case they are made a lucrative offer. Just wait and see. These kind of govt. model totally failed and looting the funds only.. this is very tough to get any positive change for voters in asian region. Really? Why not asked to be made PM of one brother and depuy PM of the other, while IK sits on the sidelines?? Does Punjab really deserve second thrashing of Pervez Ch.? @Amir Kami Sometime size does not matter. @Iqbal Malik they don’t want respect but power and money. A little too high price for six seats out of over 300? The Chaudhrys were given the ceremonial post of Deputy PM when they were in a coalition government led by the PPP from 2008 to 2013. He is the best man for the post. Chaudhry Sb- stop being selfish. That's what happens when you deal with 'electables' and make alliances with old faces just to get into the PM House. Welcome back to the 1990s, the golden era of horse-trading and wheeling-dealing. Not the change the PTI claimed to bring. PML-Q is demanding a lot, how can a 6 seats' party lead a 300 Seats assembly. They deserve nothing more than one or two good ministries. I have high hopes with PTI in dealing with this matter strategically. C.M. Punjab must be from PTI with his heart, mind and soul. @Amir Kami It is not he size which matter in politics but strength and time's demands. If any party can make government then they will not even talk to him. The PML_Q does not deserve policy making pivotal positions. The people of Pakistan have given a mandate to PTI and not to PML-Q.The people of Pakistan will prefer untainted people at the helm of the affairs in the country. Putting a Chaudry in power is like the feudal system. Now it will show true colors of some of these collaborators with various main parties. It will be interesting. PTI need to be careful of selecting (corrupts) as some sort of coalition partner in Punjab government. Snake oil salesmen are all around Imran Khan to get power and start their corruption all over again and take Imran Khan down. To be fair, this is politics 101. But PML-Q is asking two horses for the price of one. That is the ugly side of politics where politicians prefer their own benefits rather than serving the country and people of the country. now Imran got an idea that our electoral system is too bad and nothing good in it for our country, it also requires lot of amendments ! Tabdeeli electoral system k sath..
May be PTI wont need 8 Q MLAs at all. 29 Independent MPAs and other minor parties can join PTI coalition. Look at the language: In return for. As if Punjab is their fiefdom. Another example that PML-Q/N is full of greed. Ditch them as Pakistan comes first. Did someone say 'lucrative' deal? That sounds like bordering corruption. While PTI gets the PM, Q is deputy PM or President. Keep in mind that Q hasn't had a singel PM/President for decades. Pak first. Now PTI will really see how difficult it is to run Pakistan after an engineered elections. Don’t see this governement smooth sailing past the 2 year mark. People will soon realize that it isn’t easy to make a Madina jessi Riyasat. I don’t think PTI has the brains or capacity to do mega projects in Punjab. Peshawar Metro is a perfect example. PTI already has 132 elected members ,they just need 30 more to form the provincial government in Punjab. PMLQ with only 8 members (i.e. 5%) is asking too much . There is no free lunch, everyone wants something in return, that's where Imran Khan will have to settle, very unfortunate. Whether its the PML-Q or the Independents, they are going to demand his posts. Its has never been about the people or the country, its all about power, yes Imran Khan did need them to win the election, the so called the electable's, but what happens next is not going to be pretty for PTI. Nothing comes free of cost ! @Justice for all such bargaining is very common in such ‘hung’ situations. IK needs to seek partners elsewhere. eventually they will fall in line,part with negotiation and part with pressure applied from "guys on jeep"
Can the CEC/ CJP Supreme Court takes notice of Horsetrading in forming the Government. Any member or Party found involved in Horsetrading should be punished severely, strict penalties and jail time for people found to be involved, otherwise the whole democratic process will be derailed. @Akil Akhtar "Party with a couple of seats is demanding highest positions...shameful..." Why shameful, they are not forcing anyone. Secondly, whoever get the highest position, has only one seat anyway. @Iqbal Malik "PML Q will get much respect from the nation if they will join PTI with no conditions." Most probably they were working to get the CM post, PTI can keep the respect from the nation. @ABE "IK can choose partners from other independents or smaller parties to form the government," They'll ask the same. There is no end to the greed of politicians asking for more than they can chew. PML-Q should get a small bite. PML (Q) has bigger eyes that its stomach.Their ridiculous must be rejected outright. PTI being a principled party should choose to sit in opposition instead. This is the second time in 6 years that they have demanded the "Deputy Prime Minister's slot" When will they learn, that, that position does not exit. The Chaudhrys have always been corrupt politicians, only for themselves. Horse traders to the core. If they fought the election on the side of PTI, then supporting them without such ludicrous demands is their duty. Supporting the highest bidder, is proof positive of their corrupt nature. As expected Pml (Q) demands high ranks in Federal and Province, for the best interest of Pakistan Khan-a symbol of hope should take bold decision independently. We want to see prosper Pakistan. PML Q has a lust for power rather than support for PTI for the the betterment of a country. They are playing all cards to get a key post in Federal or Provincial government. Wonder how PTI will adjust PML Q in Punjab. PTI must look into credibility of Q people before making alliance with them. @Rizwan Hamid-USA I belong to Gujrat and know personally their corrupt dealings and their relations with criminals (who they them selves support). @Abdulla Hussain I disagree. He had the post under Musharraf. Nothing good came out of it. Punjab is too important to be left with corrupt elements again. PTI must take over Punjab with full force and put it on the right track.